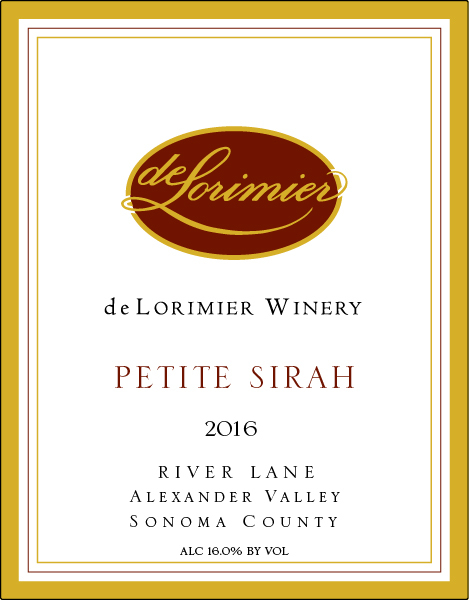 This wine delivers the robust characteristics of Petite Sirah along with the finesse inherent to the Alexander Valley terroir. Aromas of ripe blackberry fused with espresso and toasty oak lead into a smooth entry. A wave of dense flavors quickly appears, showcasing the dark blend of black raspberry, chocolate and creamy mocha. Tannins and spicy oak enhance the flavors as they frame the wine. Enjoy this beauty with hearty fare like shepherd’s pie, sausage and cheese laden lasagna, or a classic beef stew.